The year is 1910. The West is dying. The American frontier is undergoing a violent transition from the ways of old to modern times, and Mexico has entered a prolonged period of bloody civil war. 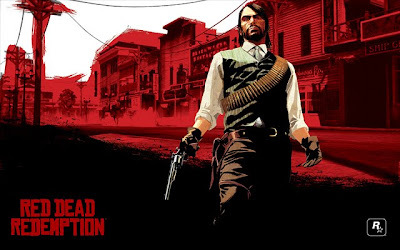 Reformed outlaw John Marston is on his way to capture former running buddy Bill Williamson when he comes upon a half dead snake oil merchant named West Dickens. Marston travels under a bleak and unforgiving sun, teaming up with a violent sheriff and a colorful mentally deranged grave robber and together they discover a bloody massacre of homesteaders left in the wake of Williamson. They hatch a plan to break into an abandoned fort where the Williamson Gang is holed up - and a dark, surprising twist ensues.